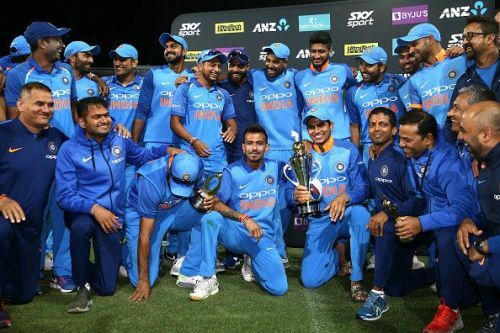 The final ODI match between New Zealand and India in the 2019 ODI series is over, with India defeating the hosts by 35 runs. Rohit Sharma won the toss and elected to bat first. The decision favoured India as they scored a decent 252 in 49.5 overs. Still, there was work to be carried out, but Indian bowlers defended the total pretty well. New Zealand went down for 217 runs in 44.1 overs. The Men in Blue looked a bit weak in the fourth ODI but they are back with a decent victory. The Blackcaps fail to repeat their Hamilton performance. The match was an interesting one and it has some takeaways for the fans. The much-debated number four conundrum seemed to rise again after the fourth ODI. 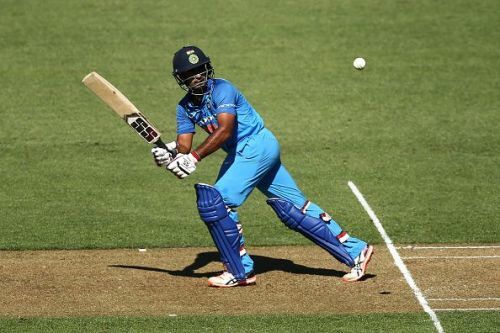 Rayudu, who had been handling that position for a while, looked unsettled during the recent ODI games against Australia and New Zealand. He was bowled out by Jhye Richardson without scoring any runs in India's first ODI match of the year against the Aussies. He managed to score just 24 in the second game and was not featured in the following match. He batted well in the initial ODI matches against New Zealand but was not exceptional. The problem for Rayudu started when he was bowled out for zero in the fourth Netmeds ODI. Nonetheless, he had silenced his critics at least until the team's next home game against Australia. Rayudu ends the series on a high with a player of the match award for his crucial 90 (113). He is the top run-scorer in this series by 190 runs from five matches. Rayudu's crucial batting when the top order failed is a good sign on the road to World Cup 2019. MS Dhoni was brought back to the playing eleven after getting rested following an injury. He was added to the side that did not want to experiment anymore after a humiliating defeat in the fourth ODI. The former captain was expected to add stability to the lower middle-order. 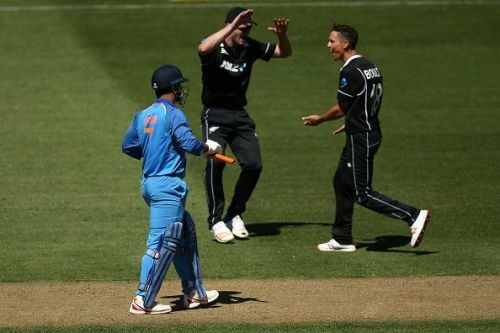 Trent Boult disappointed the team's think tank by sending MS Dhoni back to the pavilion after attacking the stumps with his fullish-inswinger. The other lower-order batsmen, however, refused to let their fans down. They stood and built decent partnerships, taking the team to a pretty good total. 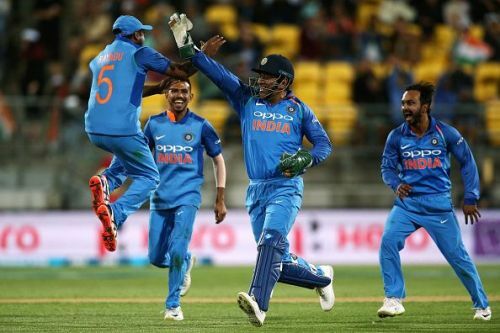 Vijay Shankar's first-ever 45 in ODIs and Hardik Pandya's quickfire cameo proved New Zealand and other teams that they should not get complacent after a Dhoni wicket. This is a positive sign on the road to World Cup 2019. Situations might possibly arise in the event where these batsmen should step up. They showed signs that they can handle those situations. India, India, and India. The series was all about India. New Zealand's only positive from this series is the fourth ODI which they won in the absence of MS Dhoni and Virat Kohli. They would probably have many questions after the series. The series builds India's confidence for the upcoming World Cup. Considering the fact that the Blackcaps are defeated by the team both with and without their regular skipper Virat, it looks like the team has very fewer weaknesses to exploit. The Kiwis hosted the Men to Blue with intentions to find their weaknesses but instead gets to face their own shortcomings. The Blackcaps would now be eyeing for a T20I series victory against a stronger Indian side.